Ann attempts to isolate Ruth from the outside world, and Joan becomes a victim of blackmail when she agrees to help. Jennifer makes a startling discovery. Dennis does not appear in this episode. Nora at first assumes Myra is heavying Daphne, but then joins her in questioning Daphne about where she got the cocaine, and to persuade her to stop before it's too late. 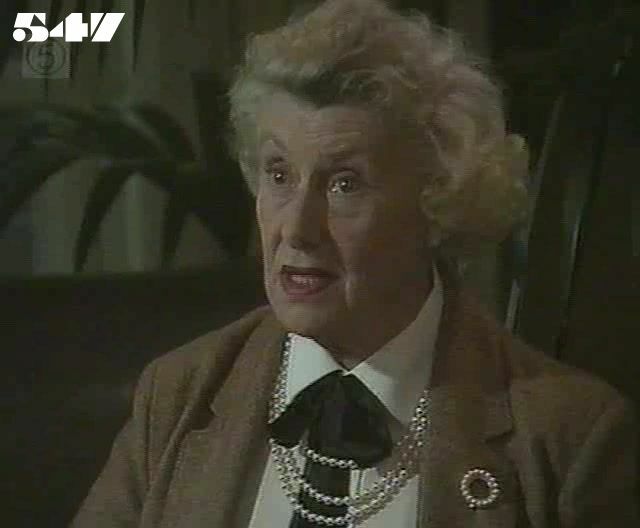 Ruth asks Ettie to slip a note to Fellowes in her next letter to Sadie: Ettie agrees in return for Ruth getting her a bottle of mosquito repellant. Joyce is upset and pre-occupied after her argument with Mervin. Costello arrives at Wentworth to see Ruth, but Ann sends him away, claiming that Ruth has refused to see anyone. Ruth and Lou are in the shower block plotting to force Joan to help when Myra arrives. Myra sends Lou away and puts Ruth's head down the toilet as punishment for giving drugs to Daphne. Mrs Hartley tries to use the supposed attack on her to tie Jenny to staying in the house, but Jenny tells her she is going to Japan with Pippa. Myra proposes a prisoners' Council as a way to get more influence with the Governor. Daphne apologises to Ruth for lagging on her to Myra. Ruth tells her she hasn't any more cocaine but promises Daphne something "better" than coke. Mrs Hartley phones Mr Brooks about her will, and pointedly lets Jenny know about it. Myra challenges Joan with the allegation that she only bashed Ruth to disguise the fact that they are working together. Meg tells Nora she's preparing a report about her for the Parole Board. The women find the newspaper report about Ruth and accuse her of lagging: Ruth protests it is a set-up, but to no avail. Costello and Fellowes are alarmed by Frank Richards' arrest: his name was not one that Ruth was supposed to have given to the police. Ruth agrees to give the negatives to Joan and finish off Myra in exchange for her arranging Ruth's escape: she is to let Lou think she's going too. Terri offers to censor Ettie's letter, but Meg says she's already checked it. One of the Federal Police wants to know why Frank Richards visited the prison, and Ann checks the visitors' log to see who he visited. He cannot get any sense out of Ettie, for his threats to give her extra charges are just what Ettie wants. Ruth is relieved when Ettie tells her she didn't give the police any information. Jenny assumes Mrs Hartley has cut her out of her will and says it won't make her change her mind about going to Japan. Terri detects that Joan is worried about something, but Joan refuses her offer of help. Pippa breaks it off with Simon, who takes it badly and calls her a "spoilt, self-centred brat". Jenny ignores her grandmother knocking on the floor with her stick and carries on playing Rachmaninov: the banging stops after a while. Lexie tries once again to get Ettie to pay up the $5,000 she claims she owed her. Jenny goes to Mrs Hartley's room to apologise for ignoring her, but she finds her grandmother has been battered to death with a table lamp. If completed with a pair of jodphurs, this outfit would be the perfect look for a lesbian circa 1923.